Let’s get the party started! 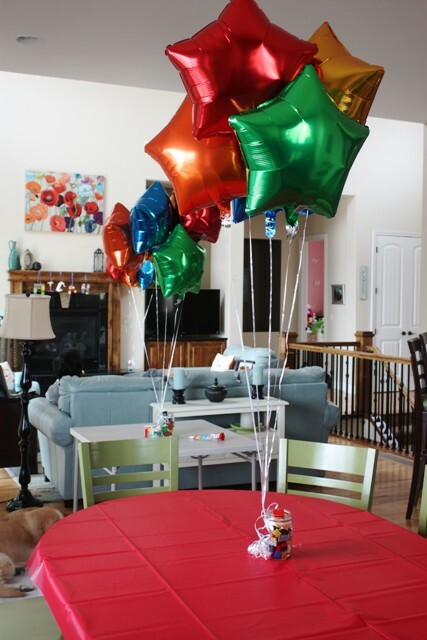 Decorations set the stage for the birthday celebration and encourage young guests to jump into the festivities. Start by selecting two or more LEGO brick colors— yellow, orange, red, purple blue, green– and carry that color scheme throughout the party décor. 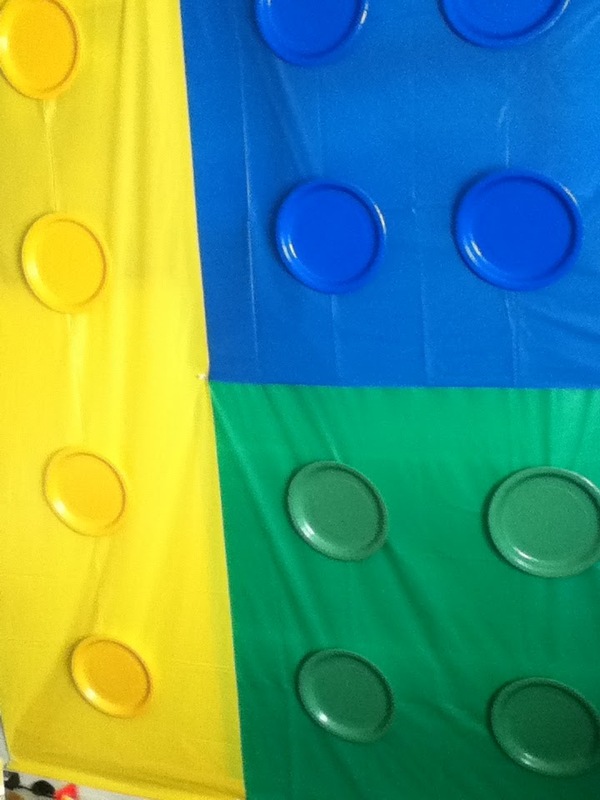 To create the effect of stacked LEGO bricks, Toni of Coffee and Chocolate attached plastic tablecloths to a wall, then taped matching paper plates to the tablecloths. This graceful LEGO-inspired mobile was designed by Joanne of Week of Menus. 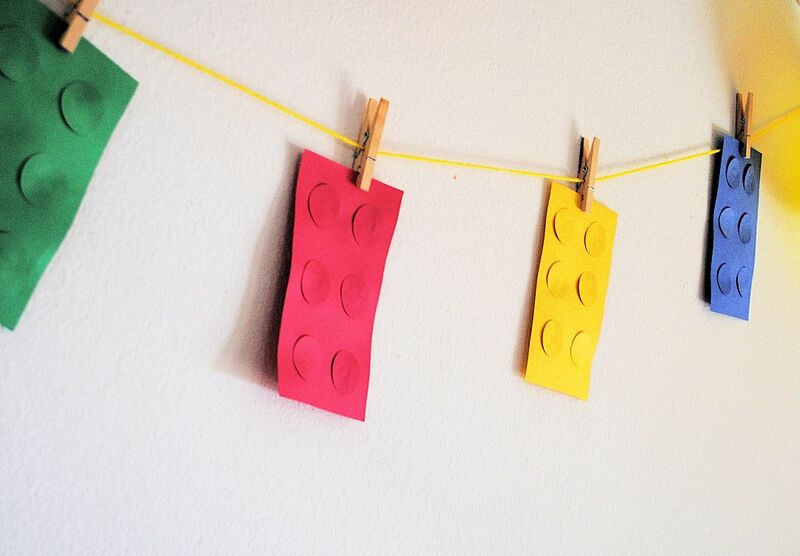 Use wooden clothespins to hang LEGO bricks from a “laundry line”. Amber of Crazy Little Projects made this charming, eye-catching streamer. Jessica of Zakka Life shares this kirigami template. Use it to make a chain of LEGO guys. 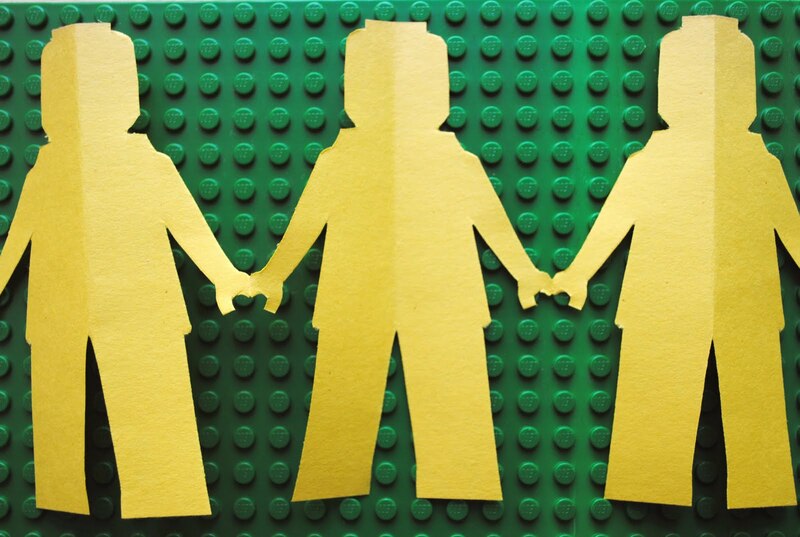 Tape the LEGO guys in “hand-holding” mode to a wall or stand them up on a table. Or cut them into individual LEGO guys as Delia did. 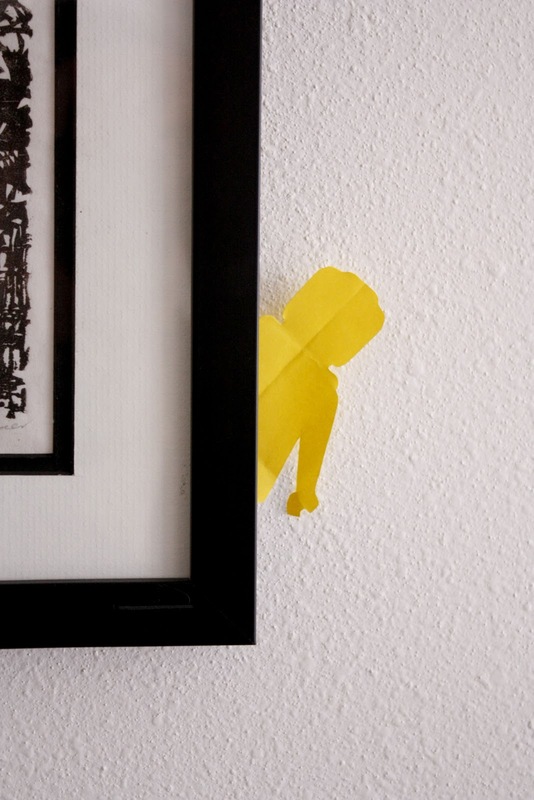 Guests will be delighted to find a LEGO guy peeking out from behind a picture frame. Balloons always create a festive touch. Don’t you agree? 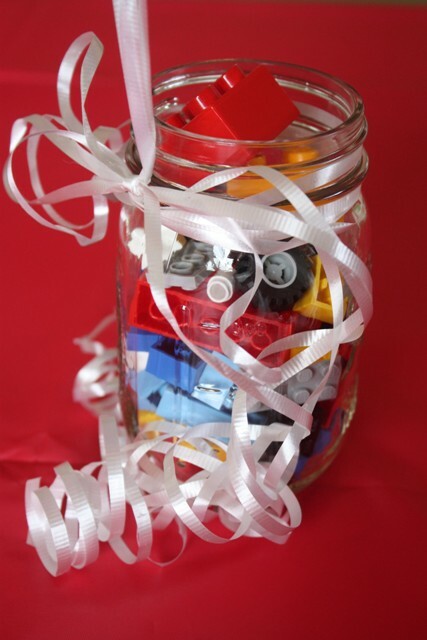 Carolyn of Silly Happy Sweet weighs balloons down by tying them to a Mason jar filled with LEGO toys. Expand on this idea by gathering a bunch of LEGO bricks and accessories. With your child’s help, construct some wild and crazy objects. Cluster your creations around the Mason jar to make a unique and colorful centerpiece. 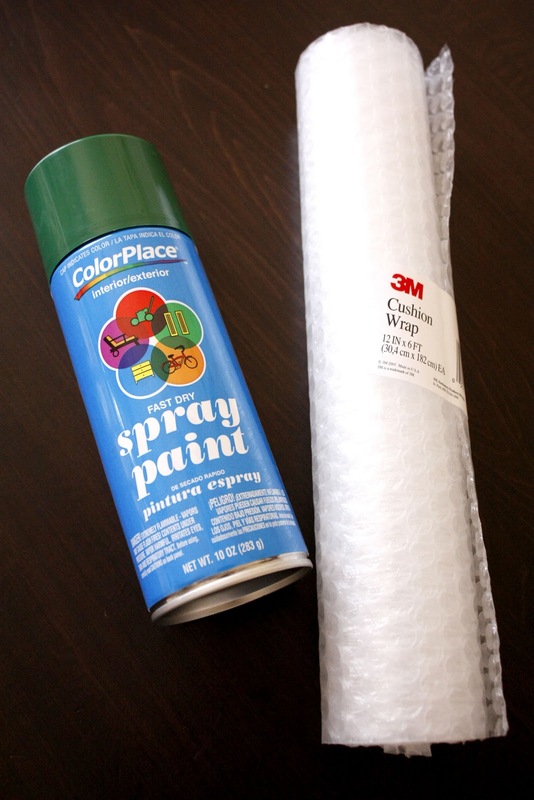 Delia spray-paints a length of bubble wrap and uses it as a table runner. It really does look a LEGO baseplate. 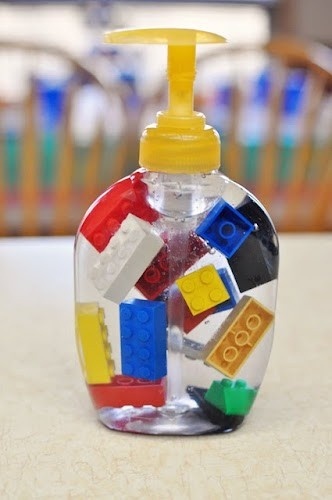 With LEGO bricks floating in the soap dispenser, kids are happy to wash their hands before eating. Come visit us again. Next time, we rev up our engines and zoom into the exciting world of Ultimate Race Car Birthday Parties.